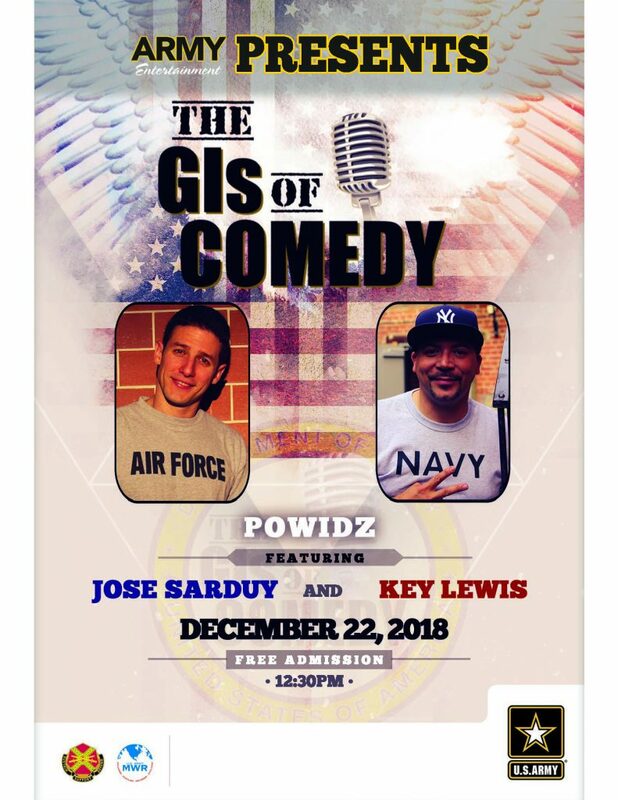 The GIs of Comedy | Army Entertainment Holiday Tour! A team from The GIs of Comedy are headed BACK to Europe for Holiday Tour! This year’s tour will feature Jose Sarduy (USAF) & Key Lewis (USN)!